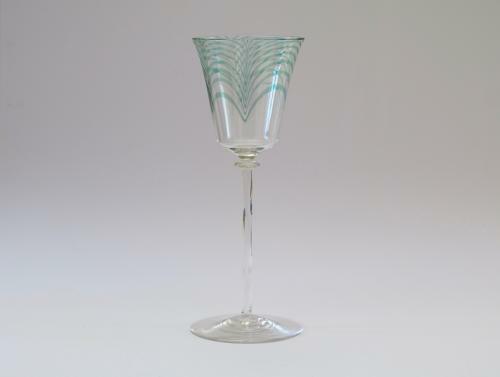 Wine Glass By Harry Powell 1906. Minerbi wine glass the bowl with melted in pulled up threads on a twisted four rod stem. Designed by Harry Powell 1906. Made by J Powell & Sons London.